The cultivation of tea started centuries ago in China and India. Tea as a beverage has been enjoyed all over the world since there are known health benefits from consuming tea. There are 3 main tea varieties there’s black, oolong and green but according to numerous research studies, the Camellia sinesis or green tea which is popularly recognized for its superior health benefits. Tea types are based on how they are processed and green tea comes from unfermented tea leaves which concluded to have the most concentration of potent antioxidants known as polyphenols. Aside from the powerful antioxidants, green tea can benefit the body in many ways. Green tea extract comes from raw tea leaves belonging to the genus Camellia. Tea leaves that will be extracted often take several forms and it is best prepared using unfermented tea leaves, steamed leaves or roasted tea leaves. Green tea extract contains various potent antioxidants usually comprising of green tea catechins or GTC. Polyphenols are powerful antioxidants that are present in high concentration in green tea extract. Green tea extract is often used in various herbal remedies and alternative medicine since it has amazing health benefits to the body. Benefits of Green Tea extract? Green tea can ward off cancer. Tea in general has many health benefits and it can be attributed to its high flavonoids content which are potent antioxidants. According to a published issue of Harvard Women’s Health Watch green tea is the ultimate source of catechins which is a powerful antioxidants and more potent than vitamin C and E in blocking oxidative damage which can fight off certain diseases. There were research studies conducted about green tea in connection to cancer that suggested that consuming green tea can lower the risk for some cancers which specifically are cancer of the breast, bladder, colon esophageal, lung and skin. Green tea helps regulate cholesterol levels. There were research studies that pointed out the effect of green tea to cholesterol levels in both humans and animals. It was concluded that green tea can lower down total cholesterol while increasing good cholesterol (HDL). In a population based study revealed that men who consume green tea are likely to have lower total cholesterol levels that those who do not drink. In a particular animal study suggested that green tea which has polyphenols can block cholesterol from being absorbed in the digestive system and green tea can also facilitate the body in expelling cholesterol. A study involving male smokers suggested that green tea significantly decreased the levels of bad cholesterol (LDL) in the bloodstream. These findings on green tea effect on cholesterol were presented by University of Maryland Medical Center. Green tea extract can help prevent Alzheimer’s disease and other neurological disorders while promoting brain health. In a published article found in National Center for Biotechnology Information website polyphenols found in green tea can significantly help in protecting the brain form neurodegenerative diseases. Green tea extract can prevent oxidative damage and stress thus aid in preventing dementia and Alzheimer’s disease which currently affects more than 18 million people around the world. The polyphenols found in green tea are naturally potent anti-oxidative regular consumption of green tea can benefit individuals by providing protection against neurological disorders. Green tea supports cardiovascular health. There were studies that directly concluded that consuming polyphenols which are naturally found in green tea extract can lower down the risk of contracting coronary heart diseases. Common heart diseases such as atherosclerosis which is the chronic inflammation of arteries over time can result to unstable angina, myocardial infarction or heart attack and even cause sudden cardiac death. As published in National Center for Biotechnology Information website stated that polyphenols found in green tea are effective in blocking the oxidation of LDL which deters the development of atherosclerosis. With potent antioxidants that have anti-inflammatory effect that prevents the formation of blot clot or thrombus, polyphenols in green tea can provide good protection to the cardiovascular system thus promoting overall heart health. Green tea extract can also help stabilize atheroma plaque. Green tea can help in weight loss by facilitating effective metabolism while increasing energy levels. Green tea is a rich source of polyphenols which are effective in weight loss. It was noted in a published article on WebMD website stated that green tea can produce heat inside which is effective in burning calories. Another study concluded that it noticeably reduced food intake among rats while a research conducted by Lausanne University in Switzerland among 31 humans (men and women) validated that consuming 3 servings of green tea beverage for 3 consecutive days had increased the subjects energy expenditure by 4.6%. Another reason that green tea extract is effective in weight loss is the fact that when consume with meals it will interfere with the body’s ability to absorb carbohydrates from food thus preventing fat accumulation from additional calories as published on the American Journal of Clinical Nutrition 2006 September issue. Green tea extract is a rich source pf polyphenols that have numerous beneficial effects to the body for overall health. Polyphenols are dietary antioxidants natural found in plants that can promote good health and prevent various diseases. Polyphenols are specialized plant component that generally function as plant’s initial defense against the harmful ultraviolet radiation or attacks by pathogens which are microorganisms that can cause diseases. It is also regarded as potent antioxidants. Green tea has been the subject of many studies and now regarded as a superfood since from one study to another have pointed out that there are many potential health benefits that humans can gain from consuming dietary plant polyphenols on a regular basis. Consuming green tea provides protection against certain cancers, heart diseases, neurodegenerative disorders, diabetes, and osteoporosis while boosting the immune system. Polyphenols also help in improving metabolism which can aid in fat loss and weight management. Flavonoids- this class of polyphenols is the most studied and regarded as phytonutrients. Flavonoids found in green tea are powerful antioxidants that have anti-inflammatory effect, anti-cancer property and immune system booster. Flavonoids found in green tea can help decrease fat absorption, aids in maintaining ideal body weight while increasing energy expenditure. Phenolic Acids- from plant sources such as green tea can directly affect the transportation of glucose in the body. Sugars from food are converted into glucose and the process by the liver and converted into fats which will be distributed to the body. Phenolic acids can block the transportation of glucose along the intestine thus preventing sugar spikes which eventually deter fat storage in the body. Lignans- can help maintain ideal weight and decrease chances of weight gain particularly for women. People who consume good amounts of lignans which are found in green tea can prevent gain weight and will be able to maintain their ideal weight. Lignans have similar structure to estrogen hormone thus it could bind well to estrogen receptors which will help in influencing body weight. Stilbenes– have only two types one is resveratrol and the other is pterostilbene which are popularly recognized for their superior health benefits. Stilbenes in green tea extract have a significant function in weight loss since it can hinder the formation of fatty deposits on a cellular level which is a promising treatment for obesity. These polyphenols can help in weight loss by tapping stored fats in the body and use them as energy sources. Green tea extract stilbenes can help stimulate the upper intestine tract with its antioxidant property which can bring a feeling of fullness thus preventing binge or overeating. Stilbenes can also protect DNA and mitochondria from damages cause by toxins and can facilitate cellular repair. Green tea extract can help in maintaining healthy normal weight and can support weight loss in several ways. Supplements made from pure green tea extract have the highest concentrations of polyphenols which are effective in weight management. Green tea extract has powerful EGCG or Epigallocatechin gallate which is a type of catechin that will boost and support the fat breaking hormone in the body called norepinephrine. 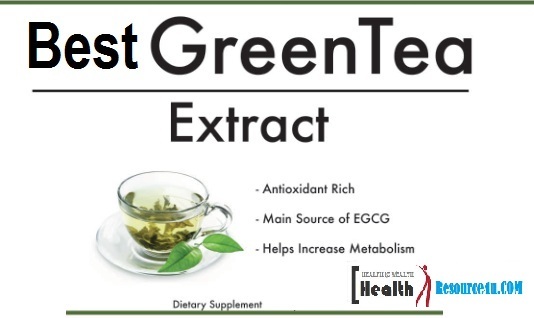 The EGCG in green tea extract supports the breaking down of fat cell and transport it into the bloodstream. Taking green tea extract supplements can also be beneficial in curbing down appetite thus preventing binge eating and unwanted added calories from food. It could also help metabolize glucose thus preventing it to be converted into fat. Green tea extract can also trigger a feeling of fullness thus helping in calorie deduction from diet. Supplements with green tea extract are excellent in promoting thermogenesis which could raise up body temperature thus promoting effective metabolism. With the increased temperature inside the body, green tea extract can help convert calories into energy preventing weight gain in the process which is also effective in burning down stored fats. Green tea extract supplements can also help boost energy level to its optimum providing the body with extra strength, endurance and ability to perform more physical tasks without feeling drained. Not only green tea extract can provide additional energy it can also sustain the energy level thus preventing burnouts unlike other weight loss supplements. Does it really work in eliminating fats? Yes. Green tea extract weight loss supplements are formulated with potent components derived from green tea thus providing the body with the full health benefits which include stronger immune system, anti-aging properties, cellular protection and fat burning action. Green tea is naturally rich in polyphenols that can help break down fats, control appetite, increase metabolic rate thus burning fats in the process. It is effective in eliminating fats while maintaining a healthy body. Botanica Research Green Tea Extract comes in 500 mg. 180 capsules per bottle and can provide a six month supply. Manufactured in the U.S. this powerful green tea extract promises to deliver all the healthy benefits of green tea. Dosage: take one capsule after meal as suggested by the manufacturer. This product promises to improved metabolism and can help trim down and flatten the tummy area for both men and women. Green tea is found in many slimming aid products since it is recognized to promote effective metabolism and facilitate fat burning while suppressing appetite. Botanica Research Green Tea Extract is safe, 100% organic and formulated with ingredients derived purely form Mother Nature. The green tea leaves used in each Botanica Research product are only sourced from organic growers and produced under the strictest standards in highly regulated facilities. No fillers, no binders and artificial or synthetic ingredients are used to ensure the best quality product for its consumers. Provides anti-aging benefits from EGCG. Green tea is very rich in catechins and EGCG is falls under that category. This will provide powerful antioxidants that can fight off free radicals and promotes overall well-being while increasing energy levels. The energy that comes from green tea is stable and will last all throughout the day without the usual side-effects such as jitters and crashes that can come from energy drinks. Promotes improved blood circulation to the brain and body while supporting cardiovascular health. 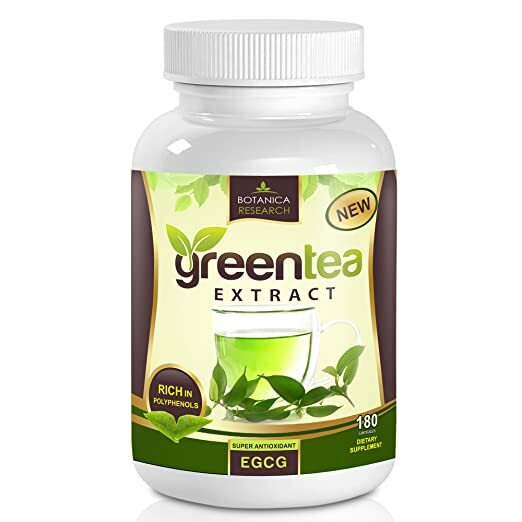 EGCG in Botanica Research green tea extract can help in facilitating good blood flow therefore effectively distributing life giving oxygen to the cells especially to the brain. With good circulation the body can function on its optimum level while keeping the heart healthy. Botanica Research offers a no-question-asked 30 day money back guarantee in case a customer is not satisfied with their purchase. 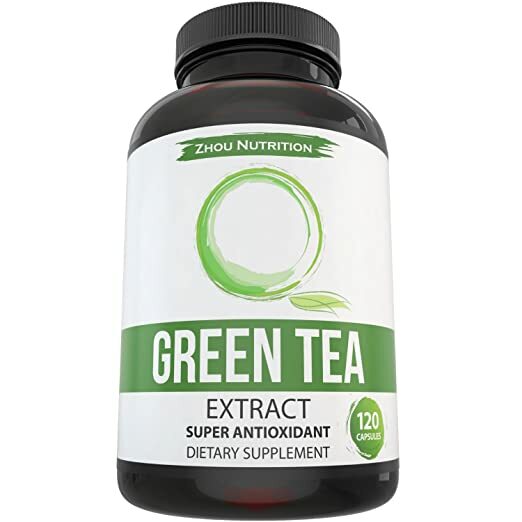 The green tea extract from a Zhou Nutrition comes in a capsule form and contains 120 capsules per bottle. Made in USA, this healthy weight loss supplement aims to provide a solution to weight management and at the same time supports overall health. Dosage: Take one capsule once or twice a day with meal. Promotes healthy weight loss through its 100% all natural ingredients. This will help in increasing metabolic rate that will allow for a healthier active lifestyle. With an improved metabolism the body can effectively burn calories and fats for weight loss. Improves brain functions with the perfect blend of L-theanine and caffeine. These two stimulating ingredients work in synergy that can improve cognitive functions of the brain while providing optimum alertness and quick reaction time. Zhou Nutrition Green Tea Extract can also help improve mood for a more positive outlook. Provides powerful antioxidants that will boost immune system. This high quality green tea extract supplement contains EGCG and polyphenols that can stop cellular damage while supporting healthy cell production in the body. Aside from detoxifying the body of free radicals, green tea extract has flavonoids which are found in dark chocolate and red wine which can support heart health. Provides steady energy all throughout the day. Unlike most popular energy boosters that increase energy levels but with side effects such as jitters, headache and nausea, Zhou Nutrition Green Tea Extract powers up energy without any discomfort keeping your productivity level at the maximum. 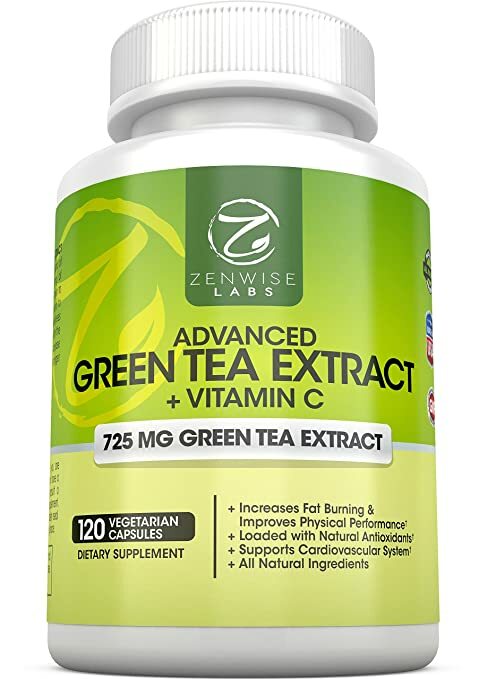 Manufactured in the U.S., Zenwise Lab green tea extract supplement is formulated with Vitamin C and has FDA registered manufacturing facility ensuring quality for every product. Specially created to facilitate weight loss this green tea extract with vitamin c can help reduce cholesterol and burn fats for overall healthy body. Dosage: Take one capsule a day but can be taken twice per day. Can help in weight loss by burning fats through the process of thermogenesis. Zenwise Labs green tea extract contains all the goodness of potent natural components that will trigger heat increase in the body which will aid in using stored fats into energy. It is also beneficial in lowering down cholesterol levels for healthy cardiovascular system. Zenwise Labs green tea can help in improving brain function by increasing brain power, memory and support good distribution of oxygen to the brain. Promotes increased energy levels and physical strength that will last the entire day without the jitters. 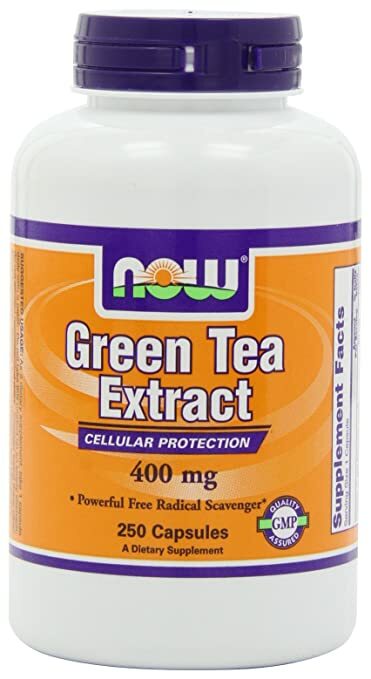 Now Foods Green Tea Extract comes in a convenient 400 mg. veggie capsule form that contains active ingredients derived from green tea concentrate. The benefits of green tea extract are present in every Now Foods capsules which could be the most convenient way of harnessing the full benefits of green tea. Dosage: Take one capsule a day with food. Not be taken on an empty stomach. Protects the cells against oxidative stress and damage through the bioactive components found only in green tea. Promotes healthy metabolism which helps the body to quickly burn calories while preventing fat absorption. Contains potent antioxidants that can help prevent diseases, infections and even cancer growth. Strengthens the immune system making it more resistant to pathogens, free radicals and disease causing micro-organisms. 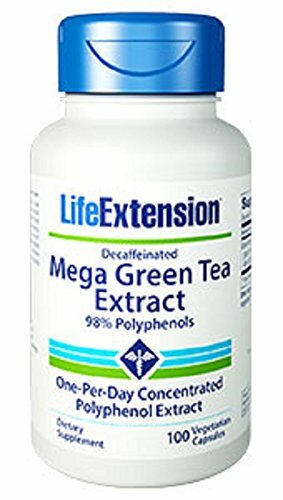 Provides other benefits from added Vitamin C.
Life Extension Mega Green Tea Extract contains potent antioxidants that can improve overall health. Comes in a veggie capsule form which can be easily absorbed in the body, the Mega Green tea capsules standardized formulation contains 98% polyphenols and 326.25 mg of EGCG for maximum health benefits. Dosage: Take one capsule a day without food. Each capsule contains 3.6 mg of caffeine. Contains more polyphenols than seven cups of green tea. The Life Extension green tea extract health supplement is bioavailable and is absorb much better into the bloodstream than a cup of green tea. Protects the body and brain from oxidative stress and damage for improved functions and overall good health. Promotes healthy ratio of good and bad cholesterol thus supporting cardiovascular health. It could also prevent certain heart diseases. Aids in the natural detoxification process in the body. Has potent antioxidants that protect cells from oxidative deterioration and damages caused by free radicals. It is also good in boosting the immune system. Improves metabolism and facilitates thermogenesis thus helping in eliminating fats from the body.